Saw someone do a list of Harrison Ford’s 10 best movies. It was crap. And like the Spielberg list that offended me (and inspired this), it sparked me to make my own list. Except I’m gonna run the gambit and do them all, because hell, I’ve seen every one, in most cases more than a few times. Random Hearts – A long, dull love story. Paranoia – A disinterested thriller. Extraordinary Measures – Why was this on the big screen at all? It’s a Hallmark Channel movie. The Age of Adaline – Not a bad concept. There was something good here. But ended up flawed and predictable. Ford is good in it, though. K-19: The Widowmaker – Ford was offered Hunt for Red October. However, he wanted to play the Russian submarine commander. He got his chance to do that with this movie. He worked better as Jack Ryan. Ender’s Game – This film just didn’t connect. 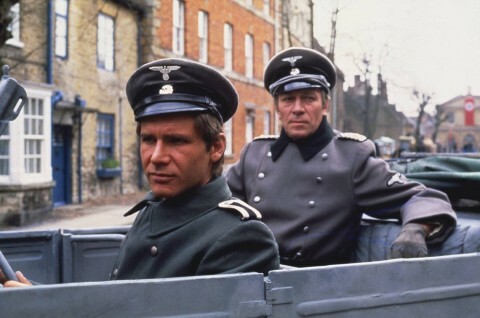 Harrison Ford with Christopher Plummer in ‘Hanover Street’. Hanover Street – A love story in a war torn England during World War II. Hollywood Homicide – A light-hearted buddy comedy action flick that wasn’t really enough of either. Firewall – A thriller that seemed tailor-made for Ford. Too tailor made. Tried to ape Air Force One. Indiana Jones and the Kingdom of the Crystal Skull – Ford doesn’t fail here. It’s the film that failed Ford. Morning Glory – A fun film where Ford gets to be a grumpy yet charming older guy. The Frisco Kid – Underrated western with Gene Wilder. Ford’s 2nd best comedy. Harrison Ford shows his darker side in ‘What Lies Beneath’. What Lies Beneath – Ford played against type in this one. A Hitchcockian thriller handled well by Robert Zemeckis. Sabrina – Ford takes on the Humphry Bogart role in this remake. It works. Cowboys & Aliens – A fun science fiction western, with a role seemingly engineered for Ford. But perhaps too much. The character’s darker edge seemed to get dulled to fit Ford. Six Days Seven Nights – Fun. Regarding Henry – Ford really pushed himself in this role, and he sells it. One of his strongest, sweetest performances. Crossing Over – I actually forgot about this one when I started this, and had to watch it before completing it. It moved around the list before settling here. Ford does well, story is not bad. 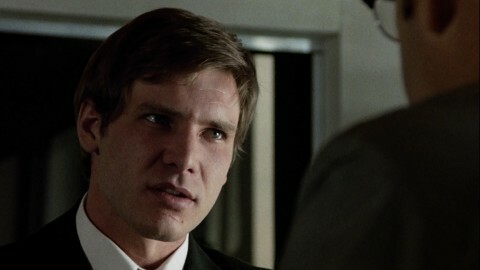 Harrison Ford as the President in ‘Air Force One’. 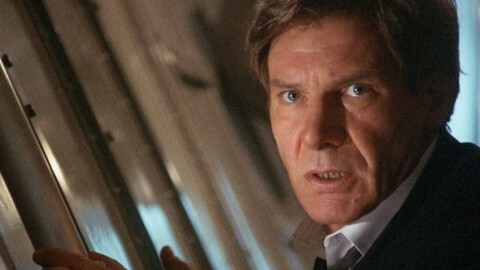 Air Force One – “Get off my plane!” The film feels more cheesy with time, but still, damn good action flick. The moment Ford beats down a terrorist with a rolling stool is the best. Heroes – A sweet story about Vietnam vets trying to get their acts together. Ford is more the supporting player against Henry Winkler, but its one of his more subtle performances. The Devil’s Own – A solid thriller. 42 – Ford pushes himself like never before. It works. Presumed Innocent – An adult legal thriller that features one of Ford’s more quiet performances. Frantic – Ford is a modern day Cary Grant, and its very much on display here in this Hitchcock-inspired thriller. 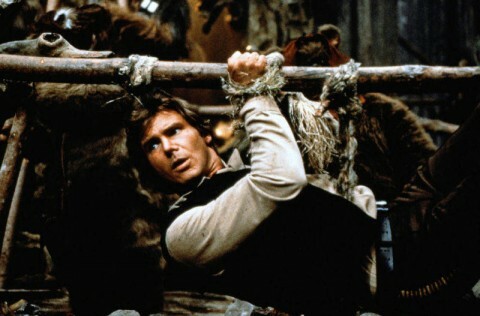 Harrison Ford as Han Solo in ‘Star Wars: Episode VI – Return of the Jedi’. Star Wars: Episode VI – Return of the Jedi – Ford’s Han Solo is more window dressing in this film, but still… it’s Han Solo. Blade Runner – Visually stunning, great film noir. Ford is top notch. Of course, that’s only if you watch the original theatrical cut. The recuts are stank. 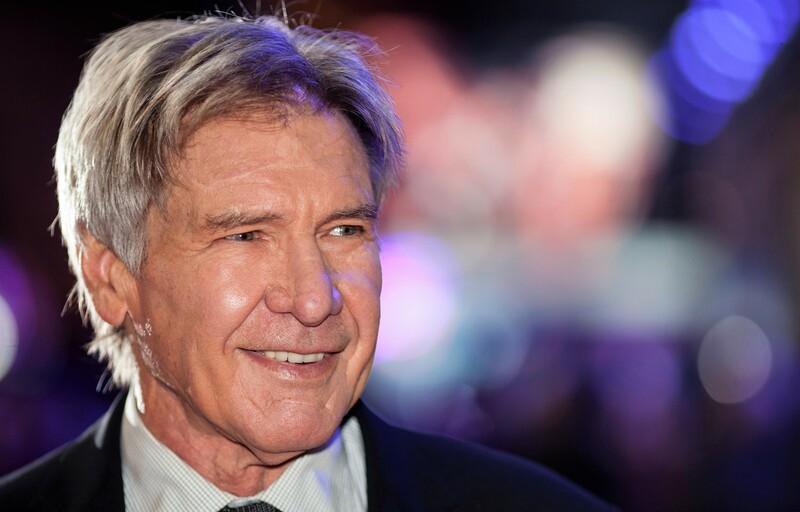 Star Wars: Episode VII – The Force Awakens – Ford brings the old Star Wars magic back to life. Star Wars: Episode IV – A New Hope – Smuggler’s delight. Indiana Jones and the Last Crusade – Connery brings out the best in Ford’s Indiana Jones. Clear and Present Danger – Ford’s Jack Ryan sails through a political thriller turned action flick. American Graffiti – Ford makes a small role into a larger presence with charisma and charm. George Lucas’ best film. 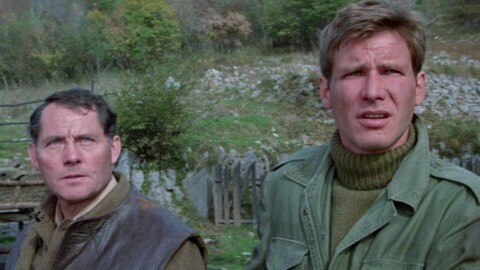 Harrison Ford with Robert Shaw in ‘Force 10 from Navarone’. Force 10 from Navarone – It’s the film I catch somewhere on cable every few months, and I have to stop and watch it. Indiana Jones and the Temple of Doom – Although considered the black sheep of the Indiana Jones films (at least in years before Crystal Skull), it’s always been a classic in my eyes. Working Girl – Ford proves he can be funny. Star Wars: Episode V – The Empire Strikes Back – The highlight of his Star Wars run. The Fugitive – One of the most solid action films in the last few decades, and the film owes that to its two main players, Ford and Tommy Lee Jones. Witness – Ford with the Amish. Smart and character-driven. 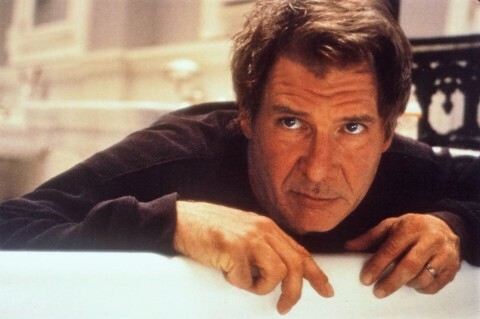 Patriot Games – This and the next three films represent every reason audiences love Harrison Ford. Raiders of the Lost Ark – This film didn’t just raise the bar for action films, it forever defined Ford’s public image. One of the reasons Disney’s aim to make more Indiana Jones films is a fool’s folly. Harrison Ford with Helen Mirren and River Phoenix in ‘Mosquito Coast’. 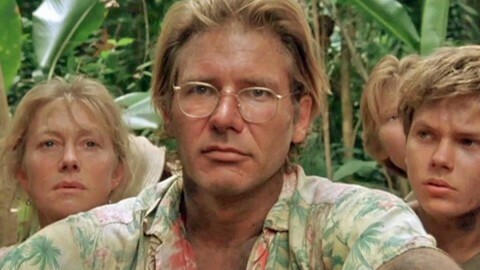 The Mosquito Coast – Harrison Ford has never been better. This is his strongest, most honest, most raw performance. He’s brilliant. Although Witness was his only Oscar nomination, he deserved it so much more for this film. And should have won, too. Apocalypse Now – Great film, but he’s in one insignificant scene. I mean, come on. More American Graffiti – Again, just one scene, but it’s a clever one. The Expendables 3 – Not really sure why he did this film, but it’s fun to see him in it. Anchorman 2: The Legend Continues – Disappointed that he was only in the beginning, but dang, this movie makes me laugh. Harrison Ford in ‘The Conversation’. The Conversation – Forget the Godfather films, this is Francis Ford Coppola’s best movie. I debated including this above in the main list, but Ford’s character just isn’t really central enough. Previous PostGeorge Lucas petition to direct Star Wars: Episode IX… what’d Colin Trevorrow do to deserve that?